” Greetings. Greetings. Greetings. Its with great Joy and Pleasure to step forth at this time. 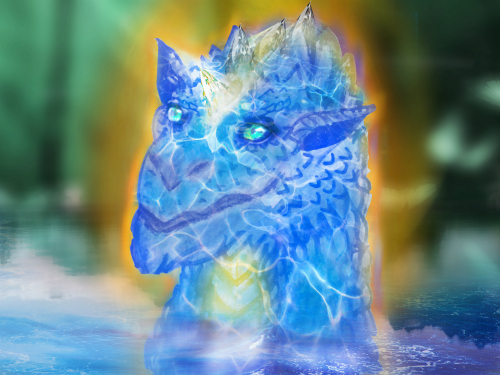 We are the Dragons of the Crystal Water vibrating on High Frequency Diamond Light, when you look at the Picture above or call upon us you will receive an gigantic boost in your immune system. We are here and feel so delighted to personally invite all of you that hear our call. Once more we commend your dedication on discovering your true Beauty, the Essence you all hold within the core of your Heart. Now is the perfect moment to resurrect and embody more of who you truly are. Therefore we ask you to participate to receive our immense love, joy and healing we wish to offer to you for personal growth, soul growth, healing relationship with Self and helping you to clear energetic miss-aligned energy. Look at the image and feel our powerful Light. We are here to assist humanity and Mother Earth in shifting fear based agendas. Through the workshop you will receive our Light Codes, Upgrades and work together as a group to clear the Water and Air Body of Mother Earth. If you can not attend the live call. Book anyway to receive your recordings and listen to them whenever you feel ready. Time is an Illusion and you will travel back in time to be with all of Us attending to receive the full healing, clearing and wisdom of the Dragon Realm, Lord Sananda, Lady Nada and the Angels.